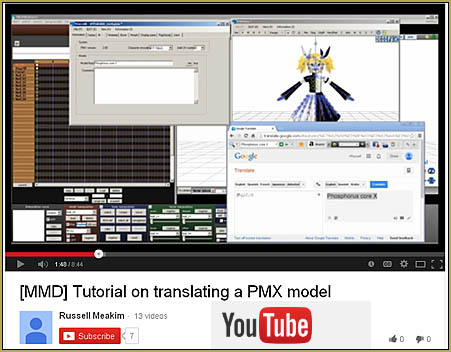 How do I translate PMX models into English? All my new model’s bones are named Null! How can I fix the bone names in my Japanese model? I need to change the Null names into real bone names. Translate PMX model bone names into English! A few months ago I made a video tutorial about translating PMD models from Japanese to English. This makes using your Japanese models so much easier! Everything from attaching an accessory to a model to selecting a particular bone on a model is much less of a chore when you can read the bone names in English. 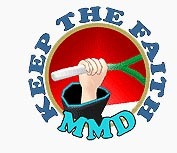 And saving your work to a PMM file that wont crash MMD when you try to open it later is just one more of the benefits. Translating your model into English is a very good thing to do. But what about those PMX models? How do I sort out all those Nulls and missing facials? Am I stuck with them that way? … No! As it turns out… there is a PMX editor. ZoidsFanatic’s article on fixing missing facials gives us a link for a PMX editor download. COOL!! So I immediately set out to figure out how to use my new PMX editor.